You don’t have to be an elite athlete to have a support team on your journey to the finish line. Training for an endurance event requires commitment and dedication, but it also requires keeping your body free from injury and in tip-top condition to achieve your best. Let’s take a look at the different specialists and health practitioners who may play a role on your fitness team. For those looking to start a training program, a great place to begin is with your general practitioner. They can give you the once-over to make sure you can start training safely and that your body will be able to cope with the demands of your proposed training. A little prevention is worth a lot of cure. Whether you are looking to start running, trying to manage injuries or hoping to achieve your personal best, a physiotherapist can play a significant role. Physiotherapists will work with you to ensure your muscles are able to handle the training load, identify potential injuries, manage and rehabilitate injuries you may get and provide education and practical advice to enhance your running. Fuelling your body in training and on race day is very important. A sports dietitian can help tailor a food and nutrition plan to ensure you’re getting all the nutrients required to train at your peak and recover quickly between sessions. Dietitians can also help with your race day nutrition and hydration plan to make sure you hit the finish line, not the wall! Throughout your training you’re most likely going to experience sore spots and overall general aching and fatigue. A massage therapist can come in very handy to soothe tired muscles and facilitate recovery. A good pair of hands will make a difference and you will appreciate the opportunity to deeply relax during your sessions in between workouts. Your feet are home to 26 bones, 33 joints and over 100 tendons, ligaments and muscles. When you run, between 3-4 times your body weight, or force, goes through your feet. With this in mind, it is a fair to say a podiatrist can play a significant role in helping to care for your precious feet. From advising on running shoe selection to managing common running injuries, a proactive plan with your podiatrist will help you to the finish line. Running, like many sports, is a skill… and a skill you can improve. Along with helping you build a personalised training program, a running coach can work on your running technique to ensure you’re being as efficient and powerful as you can be. 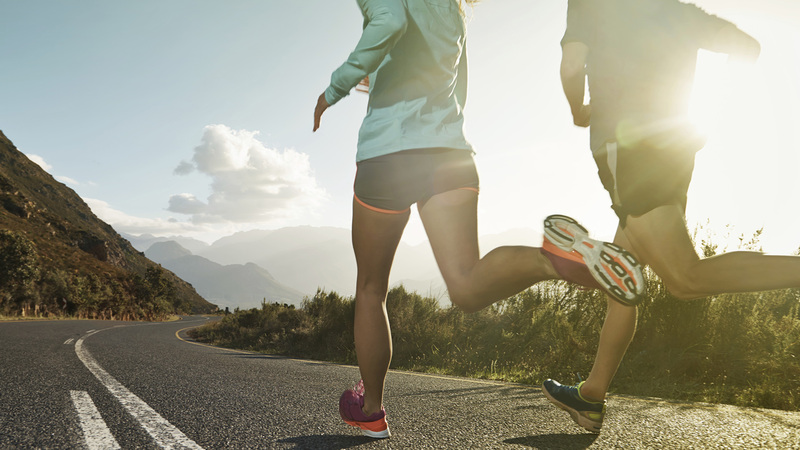 Ensuring you’re getting bang for every stride – over any distance, but especially endurance distances – an effective technique can help you both prevent injury and achieve your best.